My daughter and I just finished reading the entire Harry Potter series together. It took us a whole year. Every night we would take turns reading. What a journey it's been, both in terms of the story, and for us. It was like for a year we shared our own special magical world with our own language and our own inside jokes. So now that we've finished the books, we decided to watch the movies together as a family. It's given us a new way to enjoy Harry Potter, and there's so much for us to talk about and debate as we compare books to movies. 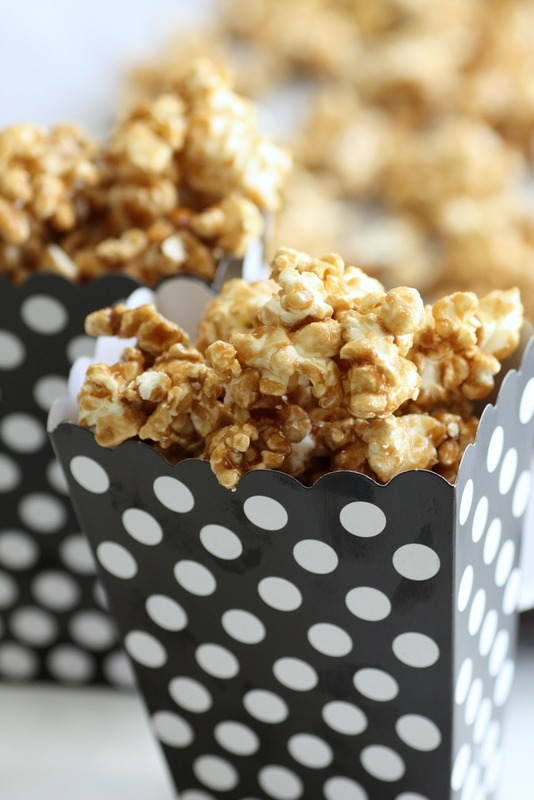 In celebration, we decided to make salted caramel corn in the microwave in less than 10 minutes using our easy caramel corn recipe. Yep, the whole thing was done in the microwave and tastes just like oven-baked caramel corn. It's crunchy from the caramel, soft from the popcorn, sweet from the butter and sugar, and salty from the sprinkling of kosher salt. You will love this! Start by making a bag of microwave popcorn. When it is done, shake the bag to settle any unpopped kernels to the bottom. 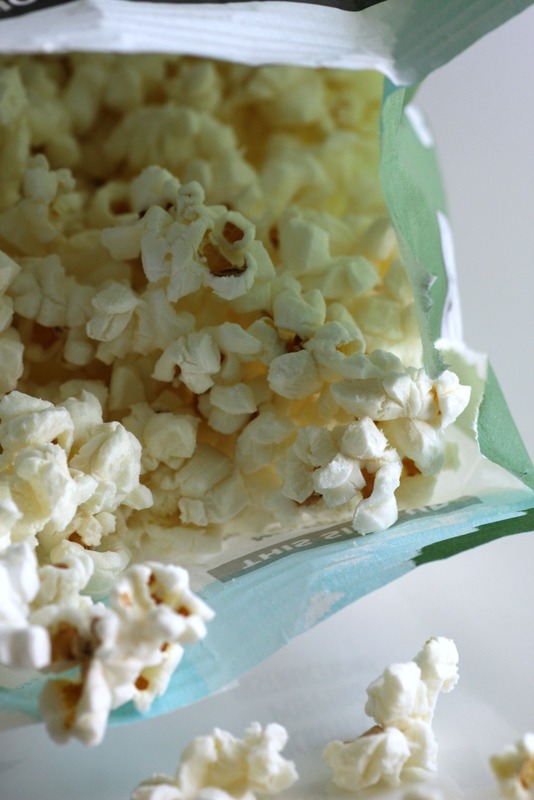 When the popcorn has cooled, transfer it to a paper grocery bag or large microwave safe bowl. Double check that there are no unpopped kernels -- you want to make sure none ends up in the caramel corn. 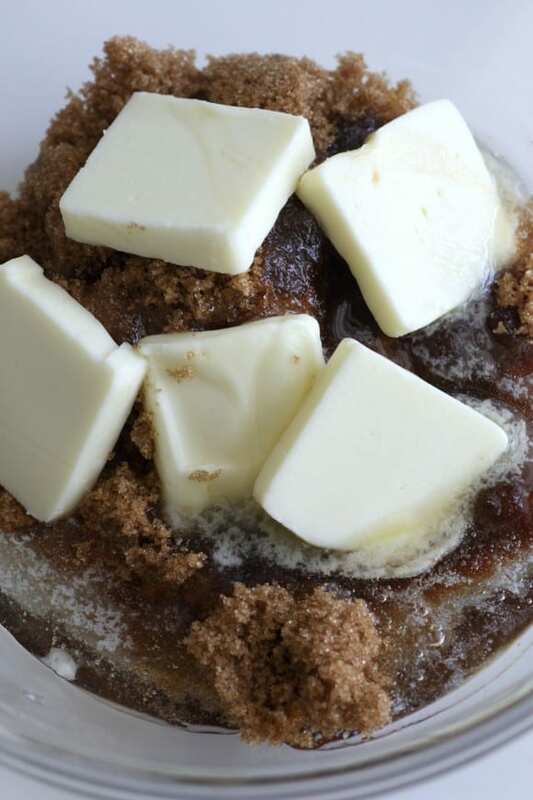 Add the brown sugar, butter, 1 teaspoon of the salt, and corn syrup to a medium sized microwave safe bowl. Microwave for one minute, then take it out and stir. Microwave for two more minutes. It should be fully melted and bubbling. 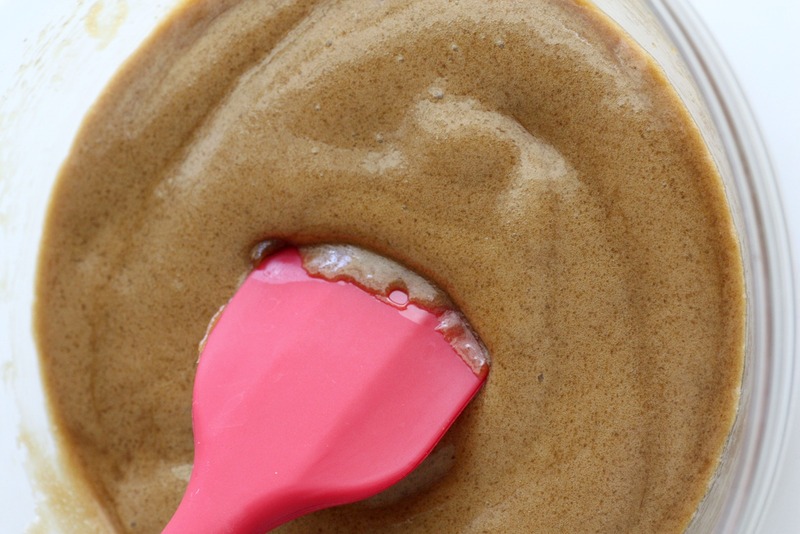 Mix in the vanilla and baking soda and stir until evenly incorporated. Pour the caramel sauce over the popcorn (in the grocery bag or large bowl) and stir until coated. Put the popcorn back into the microwave for one minute on high (in the bag or microwave safe bowl). 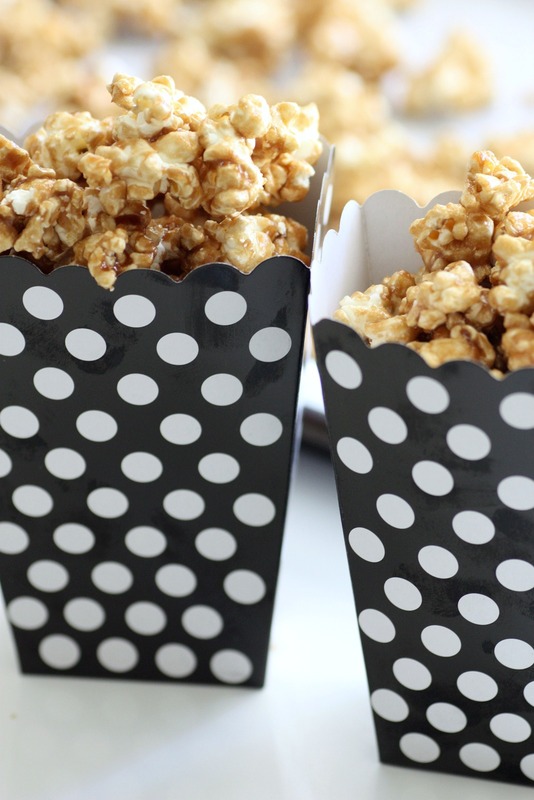 Spread the popcorn out on a sheet of parchment paper, or on a silpat to cool. 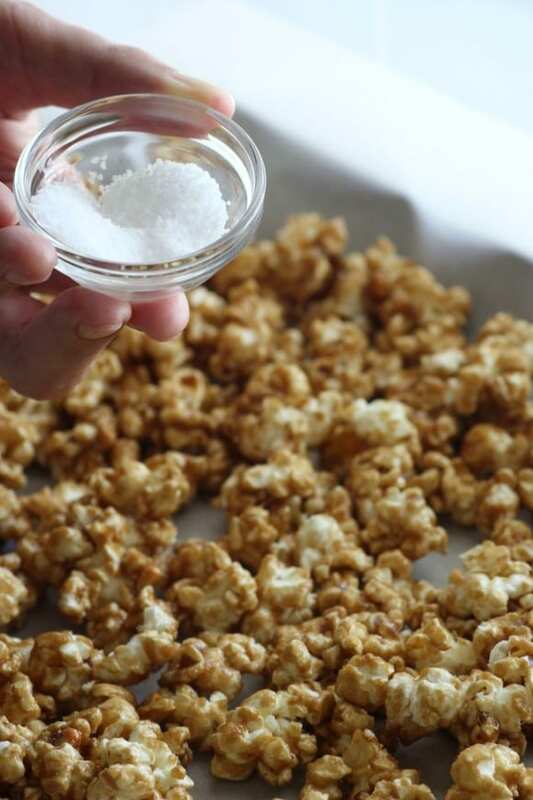 Sprinkle the remaining teaspoon of salt over the caramel corn. After it has cooled, store in a ziplock bag or airtight container for up to a week. You will love the crunch! UPDATE: We've now watched all of the Harry Potter movies. My favorite was the first one. My daughter's was the third one. There has been so much debate in our house, but I love our special Harry Potter world!